The “pocket-sized metropolis” has a great deal to offer, combining a lively city centre with narrow streets in the romantic old town, world-class museums, historical buildings and highlights of modern architecture. All of which can be explored on foot and in a single day thanks to the short distances, with a surprise around every corner. Discover Basel’s most picturesque streets to stroll along, culinary hot spots and locations with a history spanning over 2000 years. The major shopping centres keep open until 20.00. Only a very few stores are open on Sundays. 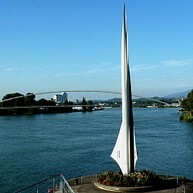 Basel can look back on more than 2,000 years of history. A history that is still very much present today – surviving as it does in all the nooks and crannies of the city and forming an exciting contrast to the modern face of Basel. The heart of the city beats in Basel’s well-preserved, romantic Old Town: its narrow streets and hidden squares with more than 180 fountains are just as charming as its many centuries-old buildings and eye-catching sights, such as City Hall or Basel Cathedral. 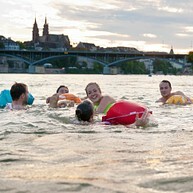 If you visit Basel, you won’t be able to avoid the Rhine. Especially in the warm months, the banks of the river tempt you to sunbathe and relax, to rest or to swim. 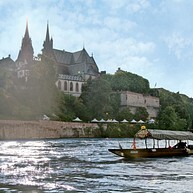 From the Kleinbasel Rhine side, you will have a unique panoramic view of the Grossbasel district with the Cathedral and Pfalz, of the Mittlere Brücke, the four ferries, picturesque half-timbered houses and baroque residences. You can let your eyes wander from various viewpoints, enjoy refreshment in numerous restaurants and cafes, or just sit in the sun by the river and become part of the picture. A trip on one of the four ferries across the Rhine is not to be missed. Traditionally one calls the “Fährimaa” with a bell from the landingstage. Experience how time seems to stand still during the short crossing. Without sound, driven solely by the current, the ferries will take you to the other side of the river throughout the whole year. The central architectural urban feauture of the new hall complex, developed by Herzog & De Meuron, is the City Lounge. This covered, public space not only marks the entrance to the exhibitions, but also functions as a meeting place for locals and visitors. Starting in 2016, the Kunstmuseum Basel presents art in three different buildings: The Kunstmuseum Basel | Main Building, the Kunstmuseum Basel | New Building and the Kunstmuseum Basel | Gegenwart, which is dedicated to contemporary art. Across Dufourstrasse, facing the Main Building and connected to it on the basement level, an exhibition building designed by the renowned Basel-based architecture firm Christ & Gantenbein rised that accommodates special exhibitions as well as presentations of art from the collections. 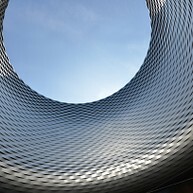 The Kunstmuseum Basel ranks among the most renowned institutions of its kind in Europe and beyond. Its world-famous collection, the Öffentliche Kunstsammlung Basel, now encompasses around 4.000 paintings, sculptures, installations, and videos as well as 300.000 drawings and prints from seven centuries. The Vitra Design Museum numbers among the world’s most prominent museums of design. It is dedicated to the research and presentation of design, past and present, and examines its relationship to architecture, art and everyday culture. In the main museum building by Frank Gehry, the museum annually mounts two major temporary exhibitions. In conjunction with our alternating exhibitions, the Vitra Design Museum offers a variety of workshops and guided tours. 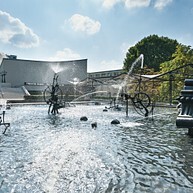 Situated directly on the Rhine, the Museum Tinguely, built after plans by the Ticinese architect Mario Botta, houses the greatest collection of works by Jean Tinguely (1925–1991), one of the most innovative and important Swiss artists of the 20th century. The permanent exhibition presents a survey of his oeuvre spanning four decades. Special exhibitions show a wide range of artists and subjects including Marcel Duchamp and Kurt Schwitters who influenced Tinguely significantly, companions such as Arman, Niki de Saint Phalle, Yves Klein as well as current art trends along Tinguely’s ideas. 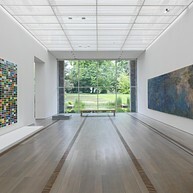 By building Renzo Piano’s museum in 1997, the Fondation Beyeler made its collection accessible to the public. The 250-odd works of classic modernism reflect the views of Hildy and Ernst Beyeler on 20th-century art and highlight features typical of the period: from Monet, Cézanne and van Gogh to Picasso, Warhol, Lichtenstein and Bacon. The paintings appear alongside tribal art from Africa, Oceania and Alaska. Experience the whole wide world in microcosm as you follow the daily events at the Rhine port. The border triangle is where the three counties Germany, France and Switzerland meet, from where container ships head out towards the North Sea and is the pick-up and drop-off points for Swiss raw materials and goods. The Zoological Gardens, known affectionately as “Zolli” by Basel's inhabitants, opened in Basel in 1874 and is home to a large number of indigenous and exotic animals. 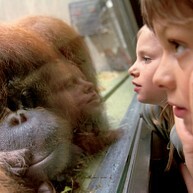 Basel Zoo is a popular excursion destination and well worth a visit at any time of year. In the summer months the park is an ideal place to stroll in the open air, in the winter months the various animal houses guarantee up close and personal encounters with a wide variety of animals. If you wish to discover an underwater world, there are several underwater creatures to discover at the vivarium. The recently rebuilt lion enclosure, “Gamgoas”, and the newly opened monkey house are two attractions worth a special mention. Your personal guest card will be handed to you when you check in. The attractive features of the BaselCard include free use of public transport, free surfing on the guest WiFi plus a 50% discount on admission to Basel’s museums, Basel Zoo, Theater Basel and much more. So what are you waiting for? Discover Switzerland's capital of culture. With its multicultural diversity and passion for life, this bastion of art and architecture is sure to captivate you. The BaselCard will turn your trip into an unforgettable experience. Basel’s landmark must be the Cathedral. This former Episcopal Church was built between the 12th and the 15th century in romanesque and gothic style. Today, the square around the church is a meeting place and is often used for events. From the observation platform, known as the “Pfalz”, you can enjoy a spectacular view overlooking the Rhine, the Kleinbasel district, the Black Forest and the Vosges.